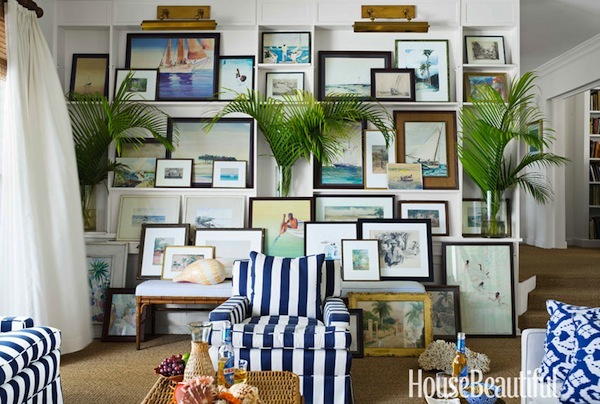 Island Connoisseur, Amanda Lindroth, once again reigns her influence on interior design with her home making the cover of October’s House Beautiful. 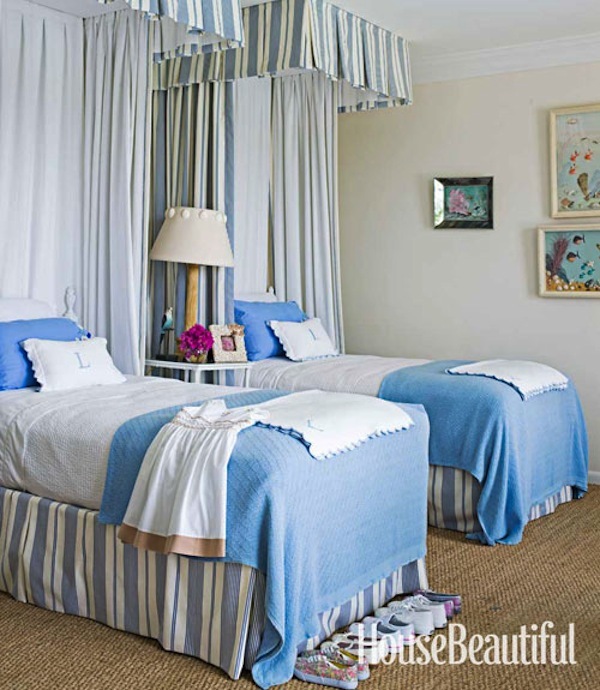 Appropriately called “Treehouse”, the Lyford Cay home which she and husband, local property developer Orjan Lindroth, purchased in the Summer of 2010 manages to shy away from the cliche Caribbean color scheme; Amanda tells House Beautiful’s Dylan Landis, “You always have to resist clichés in the Bahamas! The orange coral. Overshelling your house—the trick is to keep them segregated. And too much color. 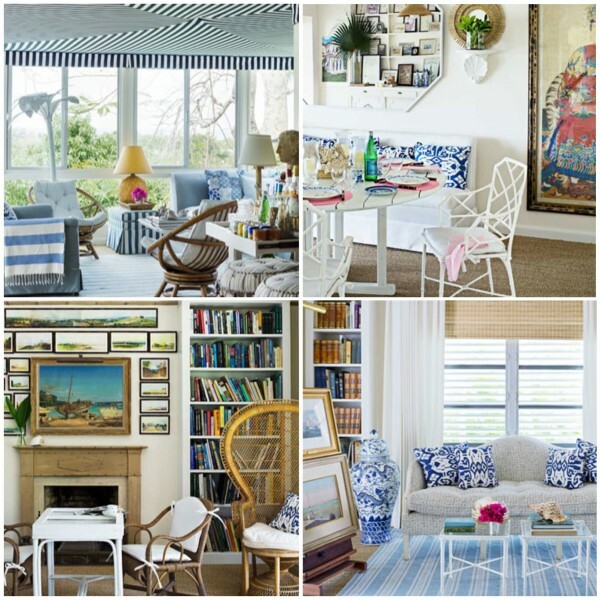 People move to the island and think they should use a riot of color, and their house looks like a kindergarten classroom.” While I am quick to agree, Amanda goes on to make a statement that lets us further in to her design mentality; When asked how her coastal surroundings have influenced her design direction she replied, “the fact that you see water from three sides—the garden, too, and the sky—was the biggest influence on the interior design. 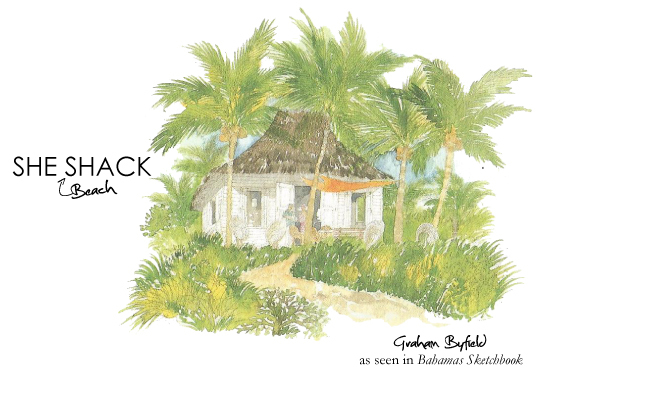 So the house is all white, in order not to compete…” a mindset also apparent in the homes she has designed for Schooner Bay Abaco, one of the most talked about communities being developed in The Bahamas at the moment. 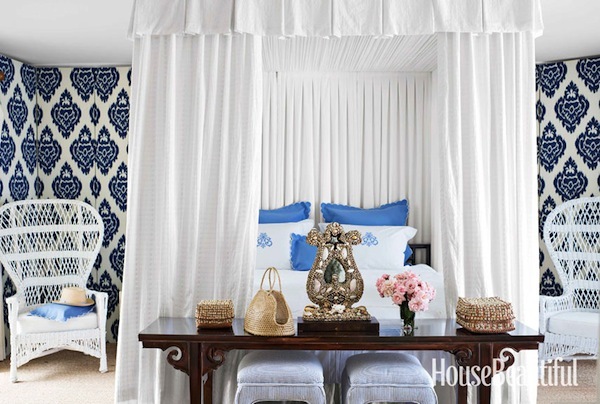 Needless to say, while her walls may be white they are complimented with every shade of blue: Royal, Navy and French commanding a presence, the same can be said for the Ikat and the striped boating fabric. My favourite feature of the house you might ask? 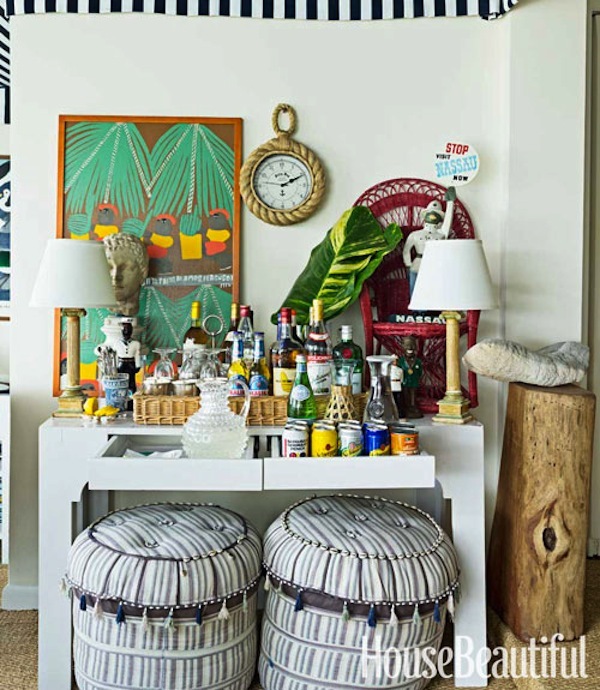 The leaning picture collage in the living room – I must admit Amanda’s design approach is one I have adopted since I met her earlier this year, “It has an insouciance, as if you might change or add things. 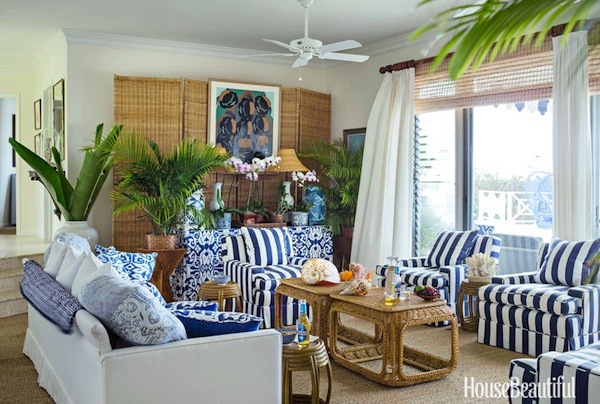 You can’t live in a purely resort house, with four shell prints in the living room. You need paintings and books, that layer of life. 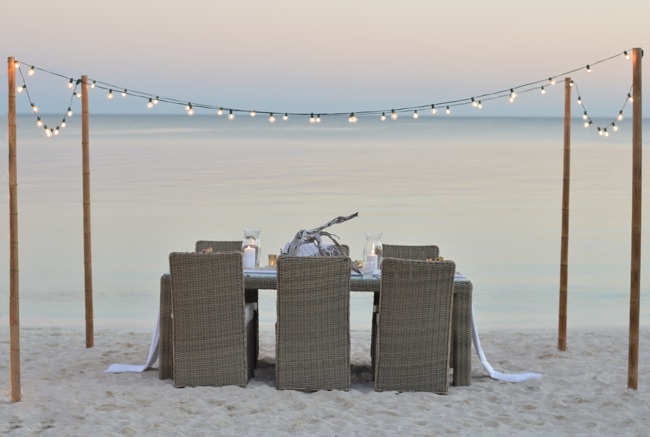 An island house should look like home.” My oh my does hers ever. 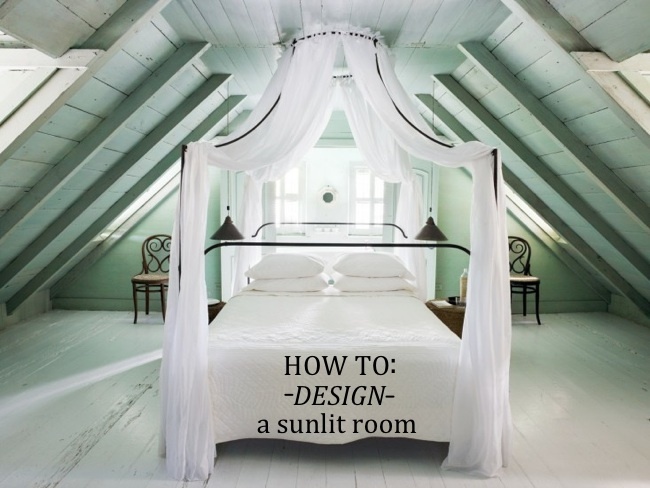 For more about Amanda Lindroth as well as some tips and design advice go here. Congratulations to the Lindroth’s on making the cover and the continued success of Schooner Bay.